my little red suitcase: lots of colour changes! You may have noticed some changes around this blog of mine! Isn't it fun changing things around. I've always liked moving things around and I've always been a fan of multi-coloured things so I expect I will eventually work my way through all the colours! I am remembering to back-up my template and blog, so if it all goes pear shaped I will be able to recover it! There is a great tutorial over at carina's craftblog which shows you how to back up your blog and your template on blogger, so thank you Carina! I will try and do it every week. I would love to have a better camera. This just isn't possible at the moment, so I'm trying to make the best of what I've got, which is really a fujifilm happy snapper! I have had a good read of the instructions and now know how to bring more light in and use it for close up shots, and that it's best to turn the flash off. But it would be lovely to take really defined close up shots that I see around. So I'm practising with this one first. 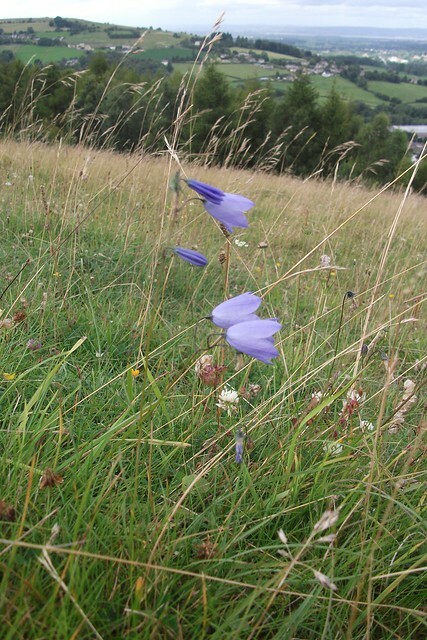 It would be nice to get a really good close up shot of the wild flowers on the common at the moment. I realize that I love these wild flowers best. All the delicate flowers which have been grown by having their seeds scattered around in the wind. 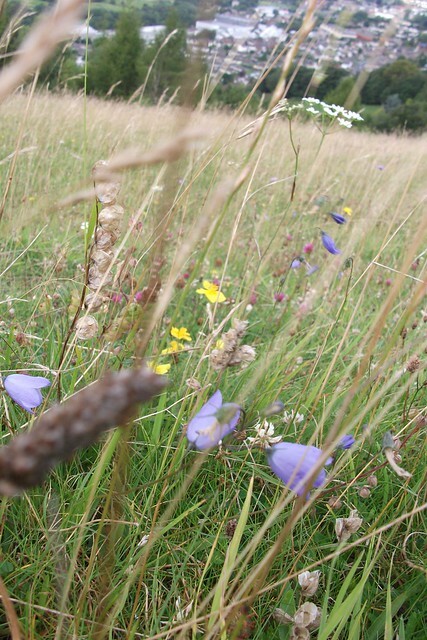 The cowparsley, the harebells and the pink clover and all the lovely wild grasses and meadow flowers, so pretty.....the purple flowers against the green grass, remind me of the curtains I had when I was young. 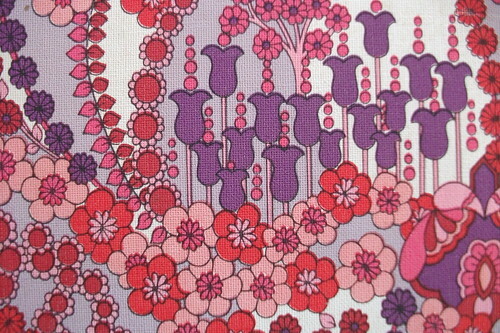 Chosen by my mum, I think a lot of the fabric I love comes from my mum, who had flowers on everything!! .....and who also loved to sew, using the singer sewing machine, which belonged to her mum and that I use now. 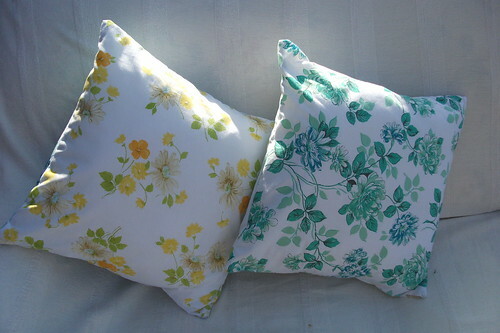 I realise that I never showed you a picture of my sunshine pillows, made during that really hot weather we had in May? I can't remember now, it may even of been April.....very simple, envelope style. I made them after reading Homespun Style, the lovely book by Selina Lake. I challenge anyone not to read this book and not have to immediately go and make flowery cushions!!..... 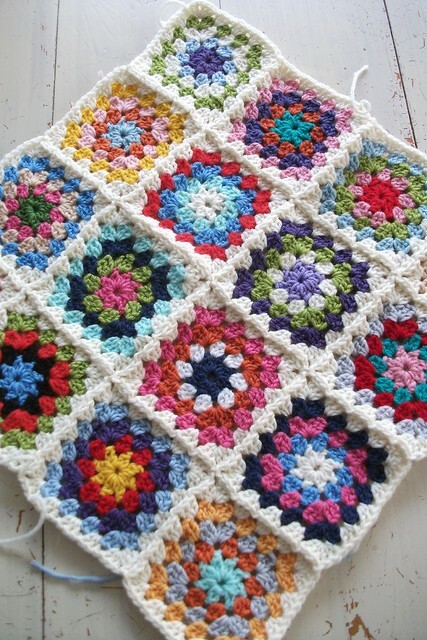 I'd like to make some more using lots of different fabrics, if I could just put down my crochet hook for a moment! Gosh do I have to back things up! Never thought of that one! It's all new to me, great post, thanks for the advice! Love you pictures, the blanket is great! I think your photos are great, I love your pictures of your crochet work and your coloured wools together. I would love a lens to take close pictures for my camera. Maybe one day! Hi Heather, lovely to 'meet' you, thanks for visiting my blog. What a beautiful little place you have here. :) Having just had a quick little look around, I love your cushions and flowers and having clicked on your flickr, I LOVE your crochet!! !